RBM: A Journal of Rare Books, Manuscripts, and Cultural Heritage (formerly Rare Books and Manuscripts Librarianship, RBML) is the Association of College and Research Libraries' journal covering issues pertaining to special collections libraries and cultural heritage institutions. As rare book and manuscript libraries have metamorphosed into special collections libraries, so too have special collections libraries changed into (or perhaps begun to acknowledge that they have always been) cultural heritage repositories. The opportunities for new professional conversations are proliferating. How we cope with emerging technologies, new economic models for collecting, the creation of strategic partnerships, and the ways in which people experience the "authentic" are themes that will be part of the conversations taking place within the pages of RBM. Those writing for RBM may include special collections librarians, archivists, preservation officers and conservators, artists, museum professionals, collectors, dealers, filmmakers, performance artists, faculty, students, researchers, and anyone interested in and working to preserve cultural heritage. RBM is published twice a year. It is an independent ACRL publication. It is not a membership journal and is sent to members of ACRL's Rare Books and Manuscripts Section only if they subscribe. RBM is an open access journal. All contents are freely available immediately to the public without charge. Users are allowed to read, download, copy, distribute, print, search, or link to the full text of all contents. Authors retain their copyright and articles are published under a CC-BY-NC license. Online access to the full text of C&RL, C&RL News, and RBM is provided free of charge. More information on ACRL's commitment to open access is available in an FAQ on the ACRL website. Print subscriptions to C&RL News and RBM are available through our offline order form for email and fax orders. Single issues of each title, along with College & Research Libraries, are also available. C&RL became an open access, online-only publication in January 2014. C&RL News is additionally provided as a benefit of membership in ACRL. Visit the ACRL website for information about becoming an ACRL member or renewing your membership. C&RL: C&RL became an open access, online-only publication in January 2014. No print subscriptions are available. Single issues - $15. C&RL News: 1-year (nonmember) subscription: $58-US. $63-Canada and other PUAS countries. $68-Other foreign countries. Single issues - $11. RBM: 1-year subscription: $52-US.$58-Canada and other PUAS countries. $69-Other foreign countries. Single issues - $26. Allow 4-6 weeks for order processing. RBM table of contents email alerts are available free of charge from ACRL. Sign up for Table of Contents Alerts through Informz. RSS stands for Really Simple Syndication or Rich Site Summary. RSS is used by (among other things) news Websites, blogs, and podcasts to deliver new content. RSS delivers this information as an XML file called an RSS feed. In addition to facilitating syndication, RSS feeds allow a website's frequent readers to track updates on the site as soon as they become available using an aggregator or feed reader. How do I subscribe to RBM RSS feeds? 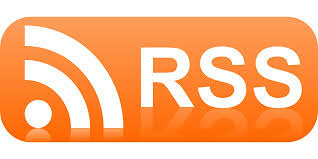 First, sign up to use an RSS reader or service, such as Bloglines, Google Reader, etc. Most feed readers are provided free of charge. To subscribe to our feeds, right-click on the icon XML icon, copy the shortcut (or Link Location) and paste it into your RSS reader. Because each RSS reader varies in setup procedures, please consult the help menu of your feed reader if you have problems subscribing.